It’s getting ever harder to remember what the world was like before Google and Facebook. Not only do what many people think of as simply websites play big roles in our daily lives, they also shape the physical structure of the Internet itself. And in doing so, they present both opportunities and threats to the rest of the networking industry. Spending on telecommunications networks has long been dominated by the need to carry information over long distances. 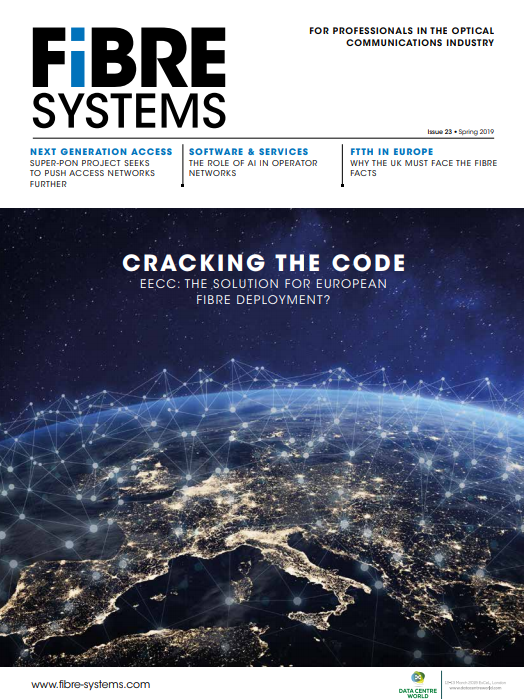 Such systems are high performance, but sold in low volumes, explained Daryl Inniss, practice leader for components at telecom research company Ovum. However, today ‘Internet content providers’ (ICPs) are spending ever more on shorter-range data centre technology, packed with connections. These efforts at ‘disintermediation’ by Internet companies remain focused on transceivers today. They source components across all data rates, but with most revenue concentrated at 10 Gb/s and 40 Gb/s, according to Ovum. Far from simply being a message to system vendors to move faster, it is a concrete and significant industry trend. This rising expenditure is narrowing the difference in capital intensity – the amount of capital expenditure per dollar revenue – between Internet firms and telecoms companies. The latter spend 17-18 per cent of their revenues on capital equipment on average globally, but the former weren’t very capital-intensive until recently. Across the sector, Internet companies’ capital intensity reached almost 6 per cent in 2014. While these expanding investments are reaching beyond data centres, they generally continue the theme, in the form of wide area networks that connect them. However, Google is also pioneering efforts to provide last-mile access with fibre roll-outs in select US cities. ‘Facebook and others are exploring other avenues to improve connectivity, especially in the developing world, such as Facebook’s Internet.org work, which looks at unconventional options like drones and balloons,’ added Walker. Supporting the demand upsurge at the component level creates challenges along with opportunities, Inniss explained. He cites the example of Applied Optoelectronics (AOI), which was shipping transceivers to Google for a WDM-PON product to support the search giant’s gigabit fibre-to-the-home plans. Speculation suggested significant revenues would follow, but the orders didn’t emerge as planned. AOI consequently had to announce this, and its share price declined. Another way that Internet firms wield their power to satisfy their technical needs is in trying to influence product formats. Inniss highlights Google’s attempt to ‘push for a 100 Gb/s solution in a hurry’ in 2010, by proposing a multi-source agreement (MSA) based on 10 x 10 Gb/s channels. ‘Finisar said 4 x 25 Gb/s is the way to go, even though it’s hard and expensive,’ he recalled. ‘They were right. The market is already looking to 400 Gb/s, which they definitely need 25 Gb/s channels to get to. All the fighting was lost time.’ Five years later, Inniss added, only one vendor has made money out of the format: Santur, now owned by Neophotonics. So by trying to support Internet content providers in the short term, components vendors stand at risk of sacrificing long-term business. In demanding shorter-distance technology, Internet companies are taking suppliers’ attention away from conventional telecom companies, which Ovum calls communications service providers, or CSPs. The two groups frequently compete in providing cloud-based services, but likewise they must often work together in ways more typical of the broader technology industry. With Internet companies’ revenues growing at a compound annual rate (CAGR) of 10.6 per cent from 2008 to 2013, and set to moderate only slightly, Walker underlines the telcos’ need to co-operate with them.